Doug Smith Spares have specialised in selling parts for Major Appliances for over 40 years. 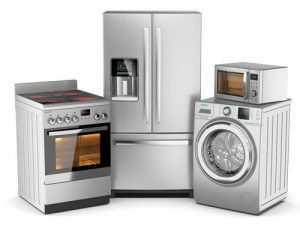 We wholesale spare parts and other appliance supplies to tradesman, and for DIY repairs, we sell all the fridge parts you need direct to the public. Dryer Ducting and venting kits and parts. Brands include Simpson, Fisher & Paykel, LG, Samsung, Bosch, AEG, Whirlpool, Maytag, Westinghouse, Electrolux, Omega, Smeg, Blanco, Kleenmaid, Miele, Haier, Ariston and many more. Brands include Westinghouse, F&P, LG, Samsung, Electrolux, Haier, Whirlpool, Kelvinator, Simpson, Maytag, and Many more. Microwave oven turntables, and trays, and glass plates. Magnetrons and other electronic components. Brands include Panasonic, Armana, Maytag, Whirlpool, Samsung, Smeg, LG, Whirlpool and many others. Brands include LG, Samsung, Dishlex, Electrolux, AEG, Smeg, Omega, Blanco, Whirlpool, Maytag, Ilve, Bosch, Ariston, Haier, Midea, and dozens more. Air Conditioner Spare Parts and Installation components. Genuine OEM Remote Controls. Original Replacement parts and Universal remotes. Twin Pair Copper sold per metre. Brands include Panasonic, Fujitsu, Kelvinator, LG, Beko, Gree, Midea, and load of others. Oven, stove and cooktop Spare parts. Stove elements and other upright range parts. All Stove knobs including awesome Universal Stove Knobs. Read More. Brands include Chef, Kleenmaid, Ilve, Blanco, Smeg, Omega, Fisher & Paykel, Simpson, Westinghouse, Electrolux, and many many more. Ducting and venting kits and parts.